Sticky ginger flapjacks – such an easy recipe, not so easy on the waistline! Well, it turns out that 2017 was not my year to blog. I started out with good intentions and many many plans and then it was Christmas! Anyway, January 2018 is here and I found this recipe that I clearly intended on posting last Autumn. 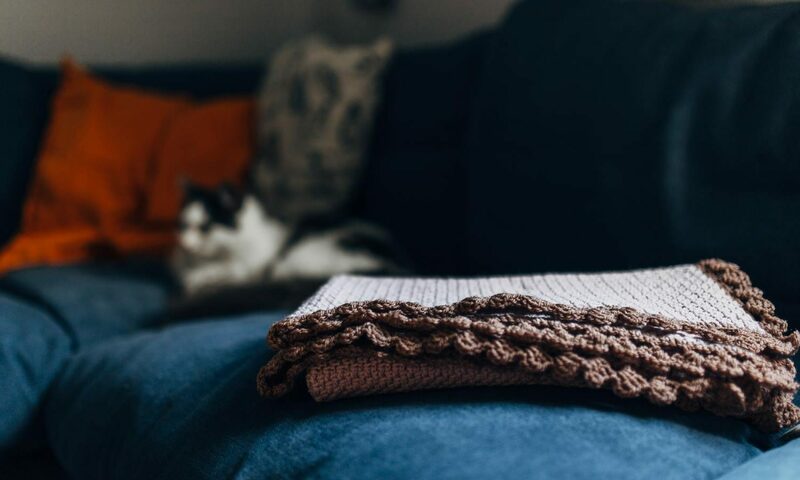 No pictures of the finished product but a fabulous picture of my cats, just because! Having had lunch I still feel a tad hungry and yearn for something yummy and homey. Decided to hunt down a decent flapjack recipe. 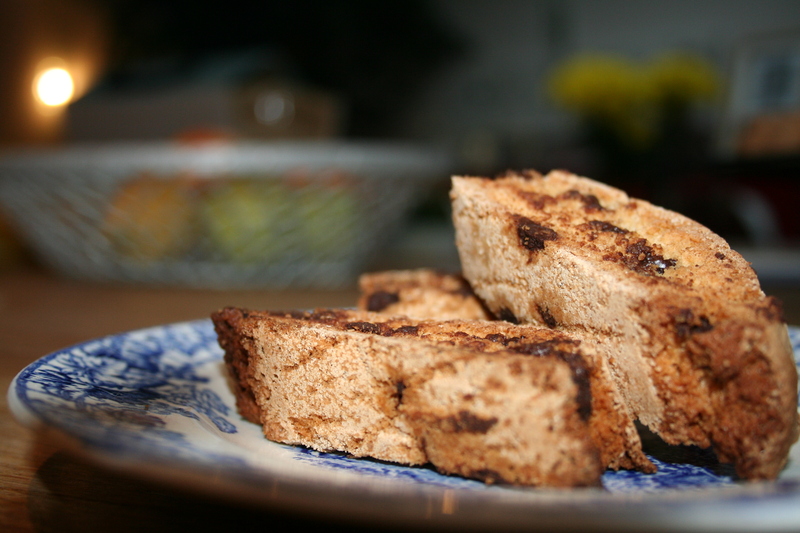 These days flapjack recipes all seem to be trying to reduce the butter and sugar content in order to make them healthy. Sadly this makes for dry and disappointing flapjacks. If you are after a healthy, low calorie snack that is low in sugar please search elsewhere. This is not the recipe for you! This recipe was found in my old faithful Good Housekeeping Step by Step cookbook. You can always pick up a copy of this somewhere relatively cheaply. I still have my Mums copy from 1957 as well as my shinier version bought more recently with, joy of joys metric measurements. I never seem to be able to completely adhere to a recipe and this one is no exception. I had some stem ginger in syrup in my fridge that looked lonely so I chopped that up and popped it in too. Entirely optional yummy extra. I thing sultanas would work too in this. In a large saucepan, melt together your butter, golden syrup and sugar. I added my stem ginger pieces to this too as it will help them combine later. In a bowl, mix your oats with your ground ginger and then add your syrupy liquid. Stir to combine. Pop this mixture into your prepared tin and bake for 30-35 minutes. Keep an eye on it. After 32 minutes mine was going just a little to0 dark (rescued in the nick of time, still yum). You want it golden and still squidgy in the middle. Overcooked flapjacks are not yummy and are not worth the calories. Leave to cool in the tin for a while before lifting out onto a cooling tray. Cut when cold in to 12 squares or 24 triangles depending on how you feel. For those who really want to know (I didn’t want to know but the book very (un)helpfully gives the calorie count) 517 calories per large square!!! Yikes. 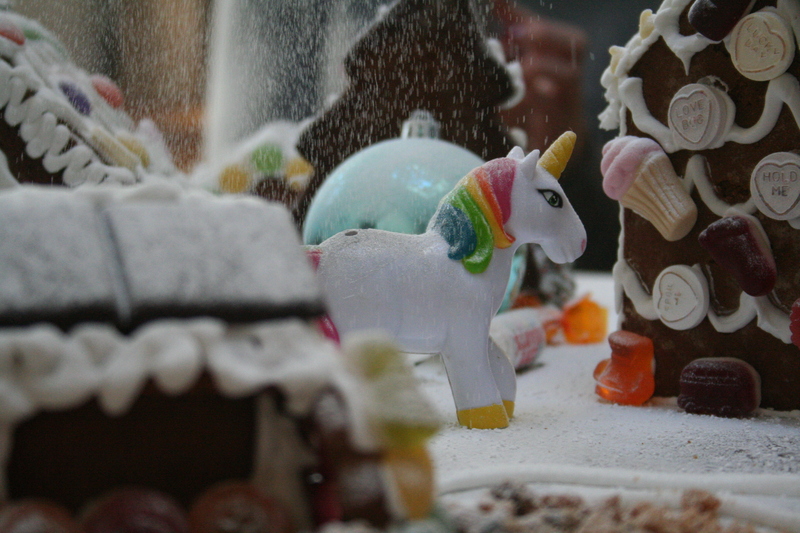 So with that in mind, this year we decided that as all the children would be with us from xmas eve, we would start a new tradition of decorating the tree with homemade items as well as the gingerbread house. 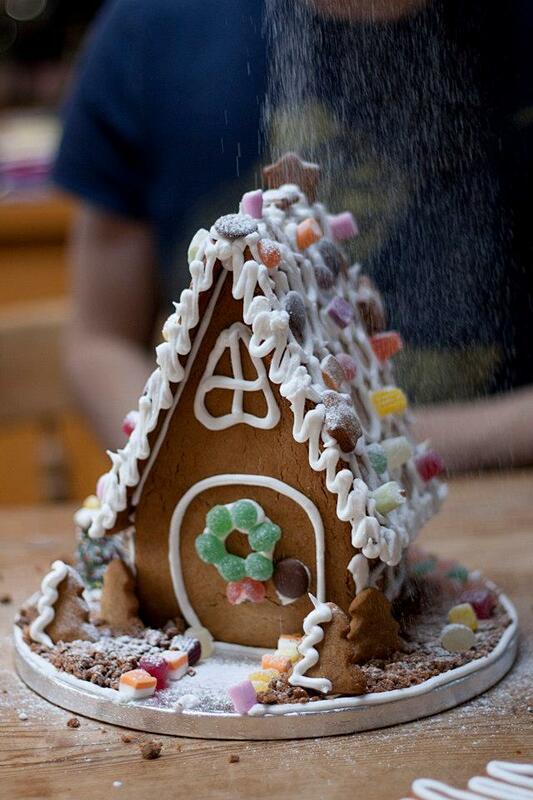 Well needless to say the gingerbread house is still in it’s component parts awaiting icing as well as numerous sweeties. We may finish it tomorrow, we may eat it! Although the recipe calls for dates I would think most dried fruit would work well here. Think apricots with the ginger may be lovely. I may make that later on today!! Photo’s are not great today as the camera appears to have run away so I was limited to my phone. Preheat your oven to 180 degrees C or gas mark 4. Butter and line your tin. 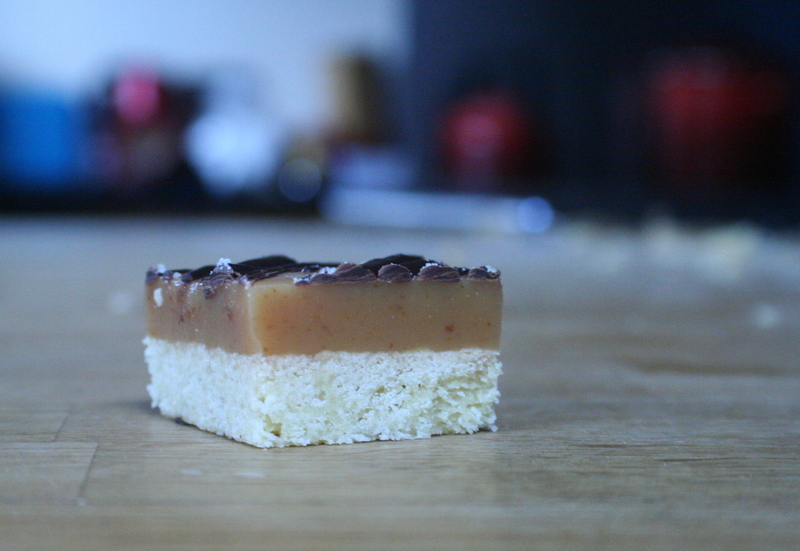 The recipe calls for a 20cm square. I used my brownie tin which is a 25cm oblong. Don’t overthink it, as long as your mixture is in a tin around that size then it should bake fine. In a saucepan melt your sugar golden syrup and butter together over a low ish heat stirring with a wooden spoon constantly. Once melted pop to one side. Put your oats and salt into a bowl and if you want to you could add some cinnamon and ground ginger too. I did because I can’t ever seem to follow a recipe to the letter. Mix. Add your dates to the butter mixture and grate in the ginger too. Mix. Combine wet and dry, easy peasy. I added a few more oats as the mixture was quite wet. I may have been a little heavy handed with the golden syrup. Put your mixture into your prepared tray and using a spatula smooth over till it is even. Bake for 30 minutes till golden. Leave in the pan to cool completely before cutting up and serving. These apparently last for up to a week in an air tight tin but hubby took some to work and I ate the rest so all gone in less than a day!! Well after a short break (of many many months) I have decided to bake something new to me. Over the last year with moving house and an op, I have not baked much. When I have it’s been sticking to the old faithfuls recipes that I know off by heart. 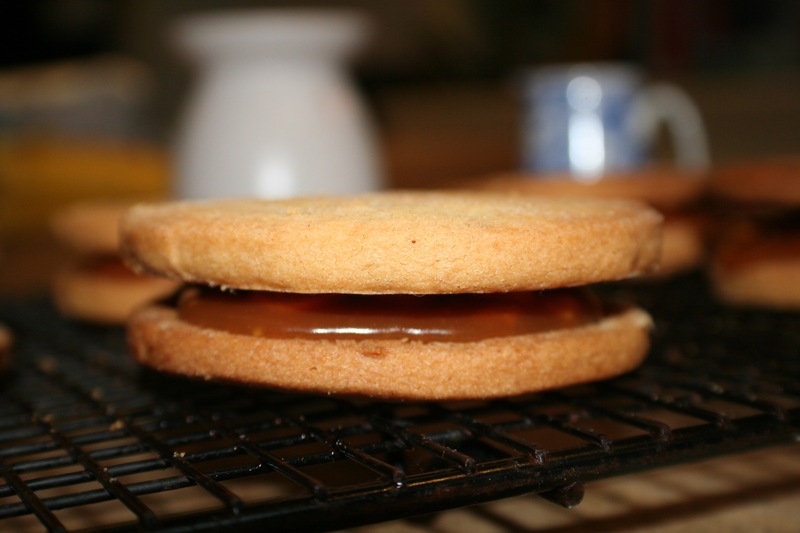 The end result is supposed to be two biscuits with the caramel filling inside. 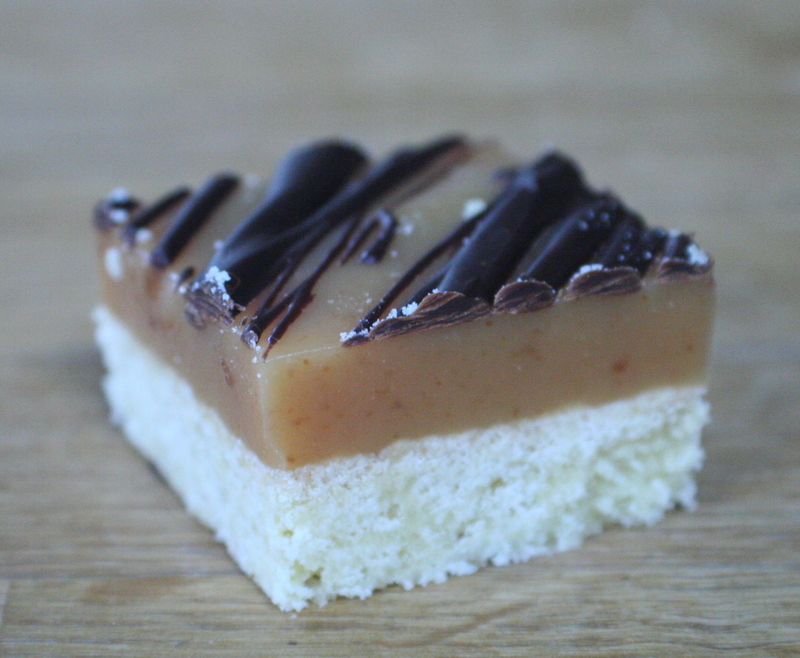 My caramel was a little on the runny side but as it took me three attempts to get this far I went for it. Not sure i would ever make caramel again, it seems way trickier than I would like for a sauce that could be bought fairly easily in a shop! Anyway here is the recipe in all it’s complicated glory. 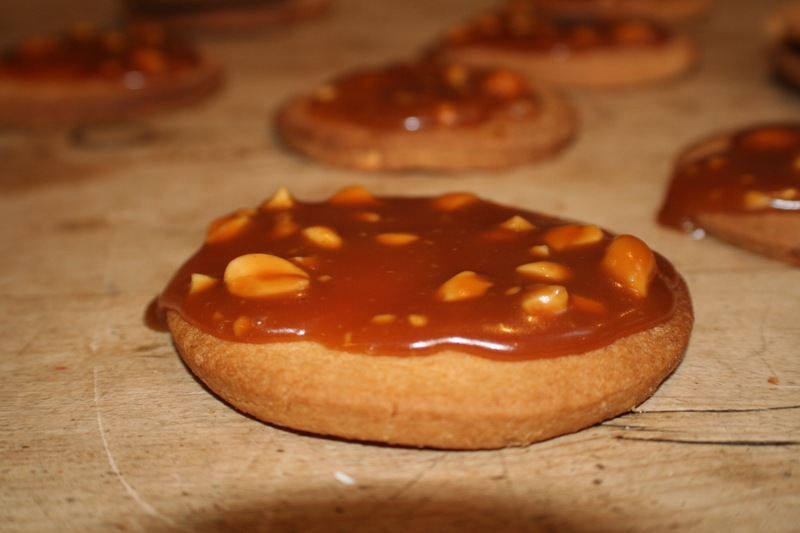 You can also make a peanut praline to crumble on the top but I chose not to make any more caramel at this point. Feel free to experiment, I felt that this recipe had plenty of sugar going on by this point. Cream the butter and sugar together from the shortcake ingredients. Keep going till they are creamy and paler in colour. Add sifted flour and bring together to a soft dough. You may need to get in there with your hands but be warned it is super sticky. Wrap in clingfilm and chill for at least 15 minutes. Roll out dough to a thickness of around 5mm, cut out rounds using a 6.5cm cutter. Chill those rounds for another 15 minutes and then bake in batches on lined baking sheets for 10-12 minutes, 180 degrees C. Once they are golden, pull them out and leave to firm up a bit on the baking tray before transferring to a cooling rack. Meanwhile!! Ha ha ha, make the caramel. I really struggled with this as my sugar kept crystallising . The recipe calls for the water and sugar to go into a deep saucepan and then heat gently till sugar dissolves and then bring to boil. Once sugar syrup looks like a caramel colour take off heat add cream and butter taking care as they will splutter, swiftly mix and place back on heat. Mix on gentle heat for a minute or so to make smooth thick caramel sauce. Add the chopped peanuts and transfer to a heatproof bowl to cool. I found this helpful page on sugar work online which explained some of the science beneath the sticky mess I made. Hey presto third attempt worked. I took it a little over so the caramel is quite dark but I think that takes the edge of the sweetness. Really could have done with Jasmine Poole Photography here today, she always makes my food look really yummy. 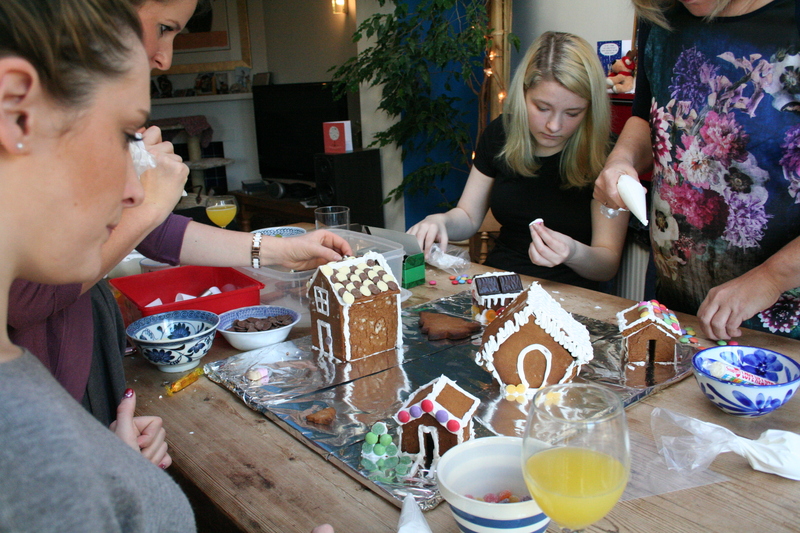 This year though after trawling through the internet I found some templates for miniature houses and decided that we would make a gingerbread village. Normally it would just be me and the offspring doing this but this year we had help from wonderful friends, Annabel, Claire and Cat. We had a wonderful morning and as you can see it was very serious work! Serious concentration – promise, everyone had fun! 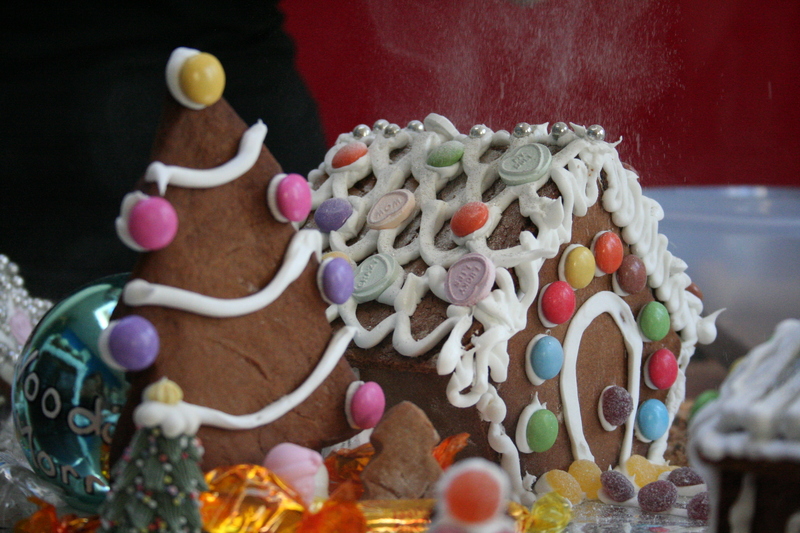 My daughter and I purchased a range of sweeties including jelly tots which seem to prove harder and harder to get hold of each year and then I spent the day before Christmas eve making the gingerbread bits. 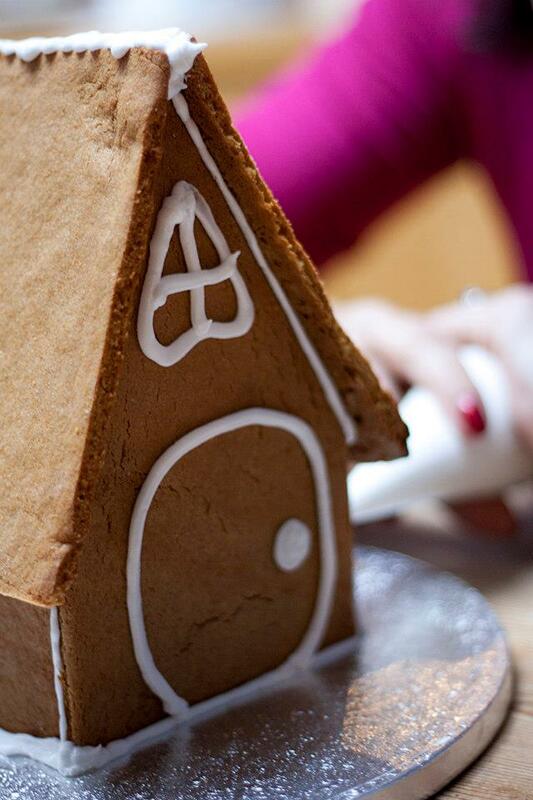 The templates I used came from Miniature Gingerbread House Template 1 and mini mini gingerbread house template 2 . You can of course google away as I did, there are plenty online. 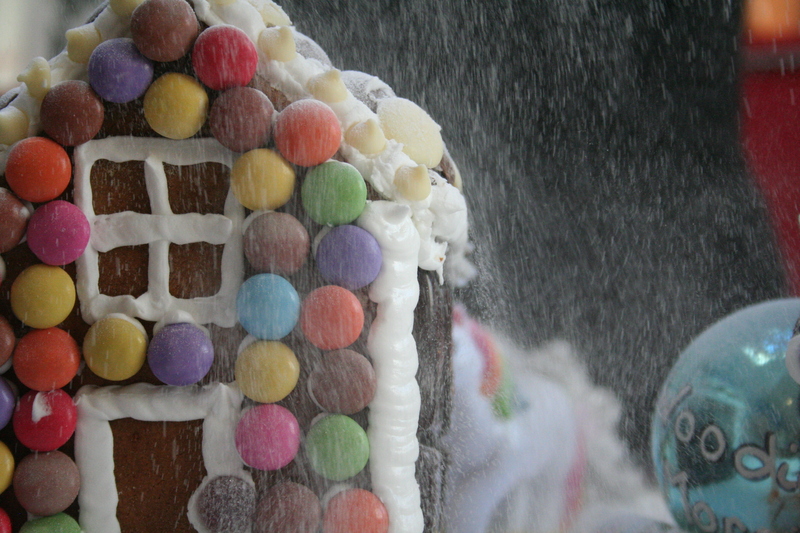 I used the same recipe that is featured in my original Gingerbread House article but the BBC good food one is also pretty good (you can find that one on the first template link. I make this recipe fairly regularly but have only recently started getting (I believe) better at taking close up shots of some of my bakes. So for your enjoyment and mine. Here are my recent attempts (no photoshop, can’t work it. 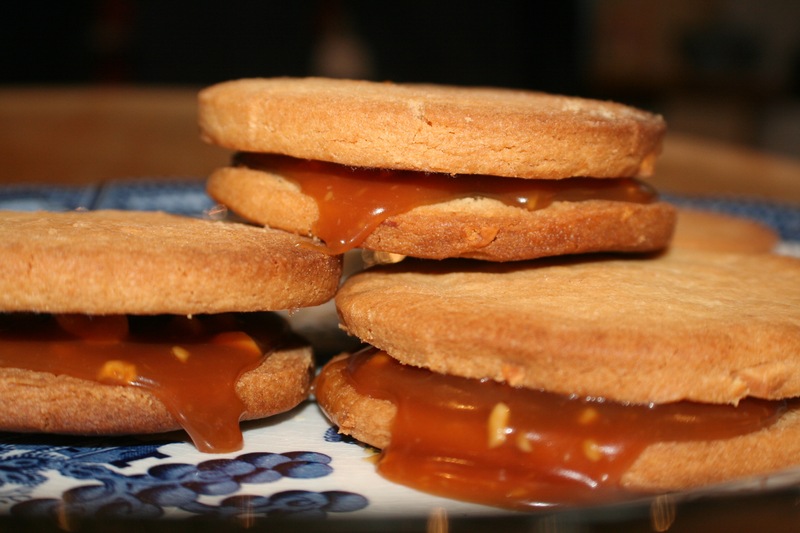 I did crop them though as I have worked out how to do that, am a technical genius, lol) of millionaires yumminess. 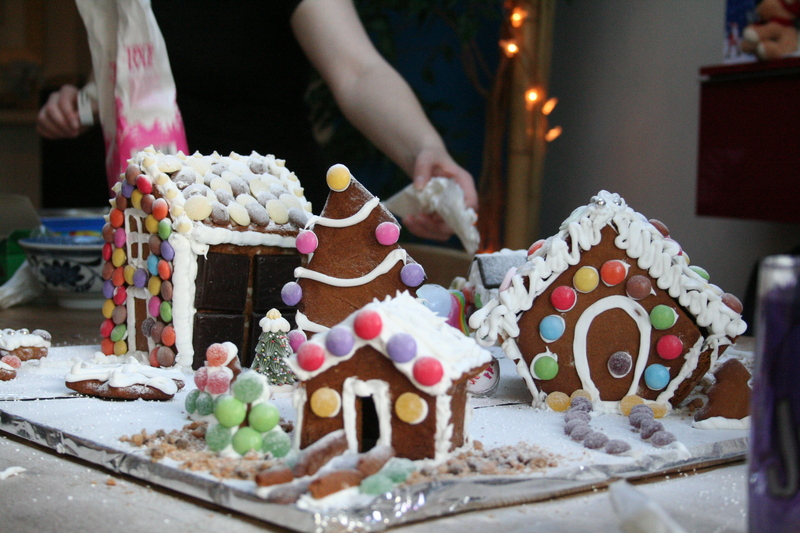 Every year on Christmas Eve ( well every year for about the last decade) we have made a gingerbread house, watched a cheesy xmas movie and eaten yummy treats. This year we want to change it up a little. My son’s girlfriend suggested that we make a TARDIS. “OK”, can do that methinks, it is after all a box and as long as she doesn’t want it bigger on the inside I think we will be fine. It has been such a long time since I have been able to truly bake 😦 I have been working full time and baking sadly was one of the casualties. After much soul searching though I decided to follow my bliss and quit my job and try and find one that works for me and my family. Scary but very liberating. Only been at home for a few days but thought I would do a family favourite that my daughter especially likes to dunk in tea! 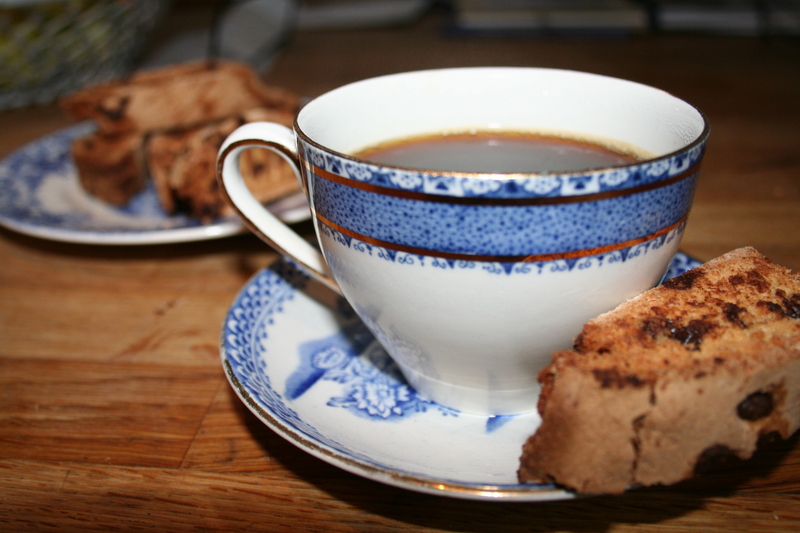 Personally these biscotti are scrummy with an excellent coffee, but truly, whatever floats your boat is good. Thanks as ever to Nigella for the recipe which I only tweak a bit. Nigella’s recipe is for 50g shelled almonds and 75g chocolate chips. I tend to use around 50g chocolate chips and no almonds but I think you can use anything that your family loves, white chocolate chips and dark combined may be nice. Hmmm may do that next time…..
Whisk the egg and sugar together until thick and pale. I use an electric whisk for this and also the freshest eggs tend to whip up much more satisfactorily. When you lift your whisk out of the mix it will leave a trail of ribbons. Beat in the vanilla and almond essences, then fold in the flour, baking powder and salt. Then add your almonds/chocolate chips or whatever you have decided to experiment with. I usually jump in with clean hands at this point as that is much easier. Once you have all your ingredients combined you need to shape the dough into a log about 25 x 5 cm and place this onto a baking tray that you have lined with baking paper. Bake for 25 minutes till a pale brown colour. Check your oven after about 17. Mine usually is done at around 22 minutes. Remove from the oven and leave to harden slightly for around 5 minutes. Then cut diagonal slants about 1cm in thickness so that you have finger like pieces. Place these back down on your baking sheet and bake for 10 minutes, flip them over and then give them another 5 minutes. Cool on a rack and then store in an airtight container for the 5 minutes you have before the family realises they exist and nom the lot!